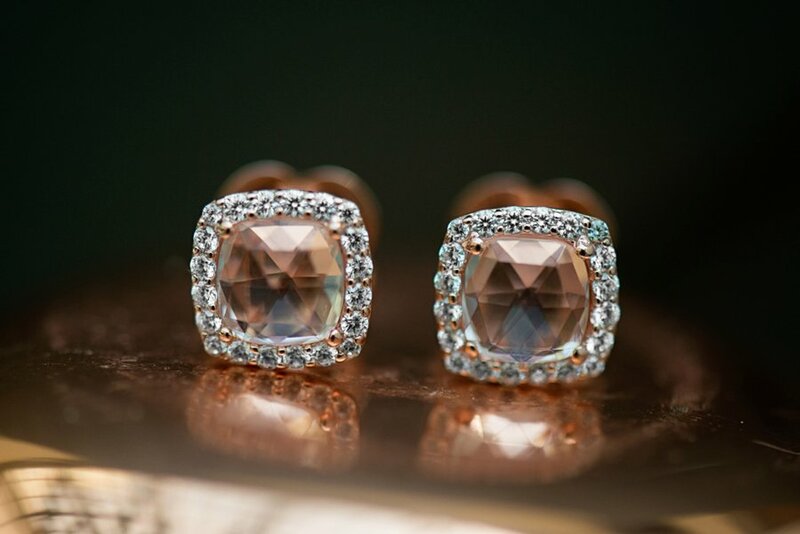 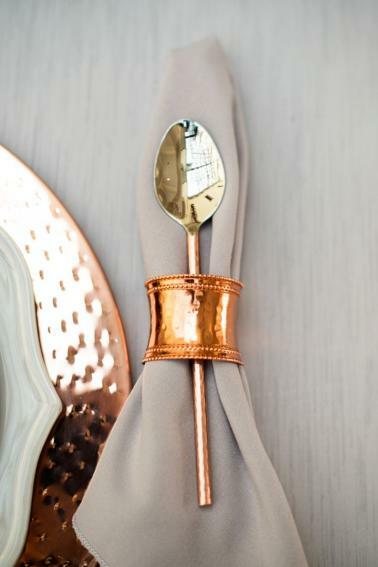 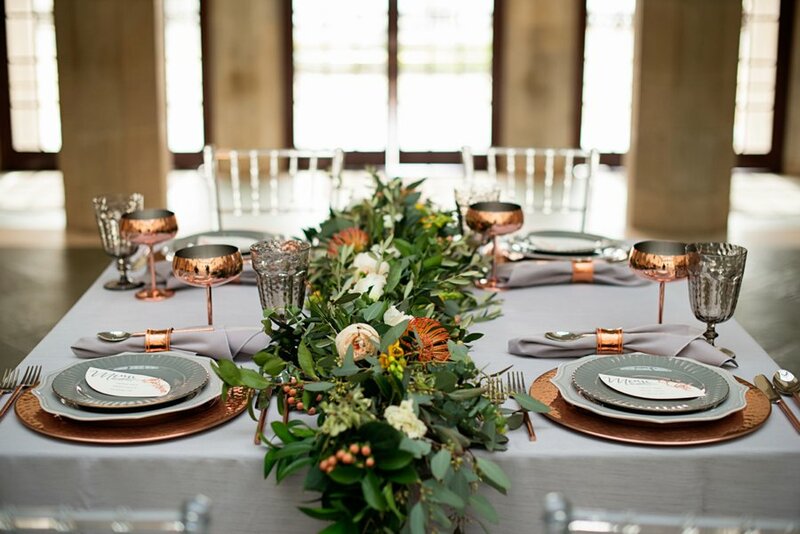 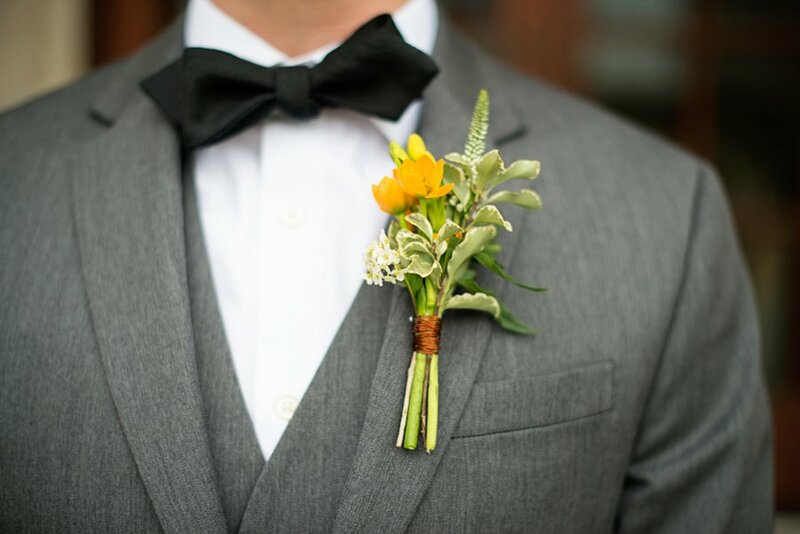 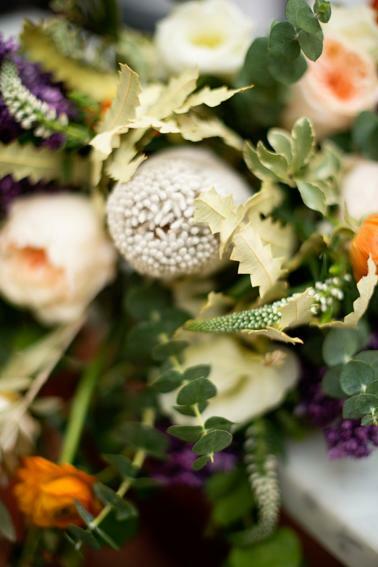 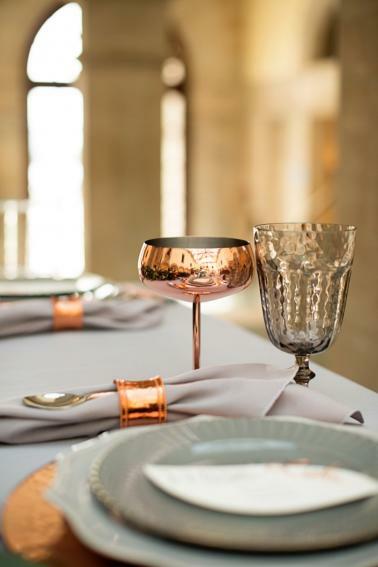 A mix of modern style with a classically elegant design is perfect for these inspiring grey and copper wedding ideas. 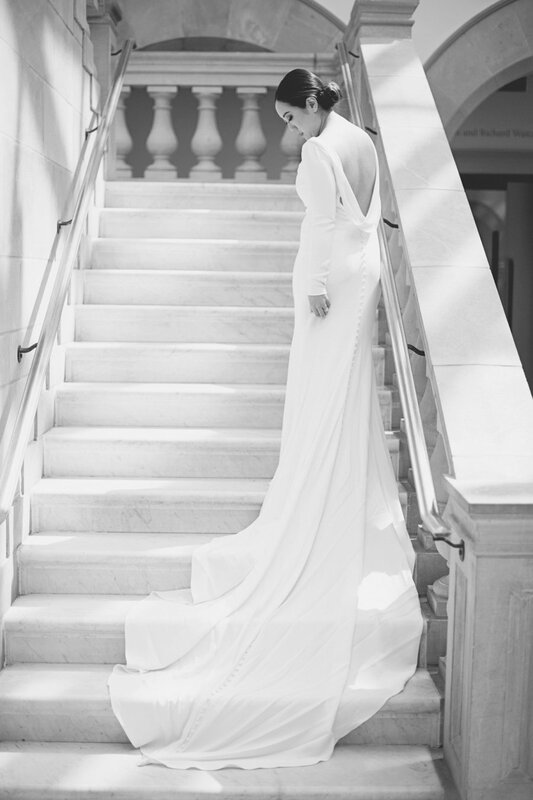 Misty Saves the Day pulled together an incredible team of talent to pull off this style. 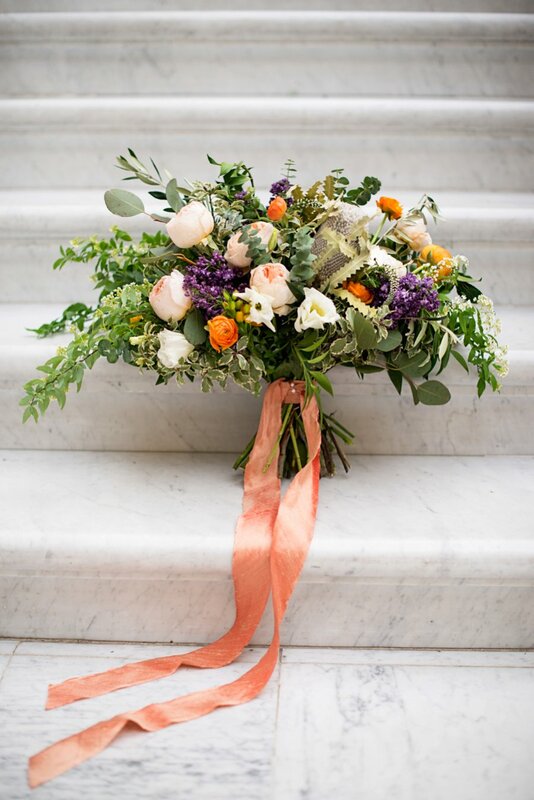 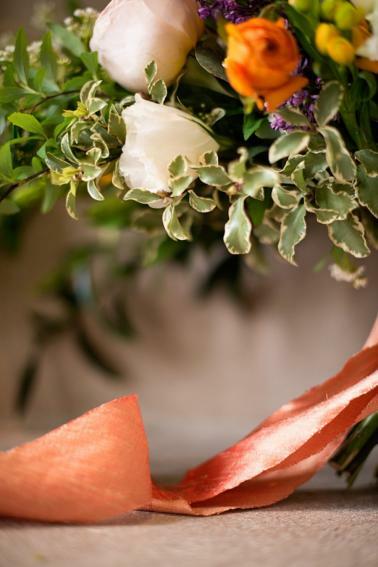 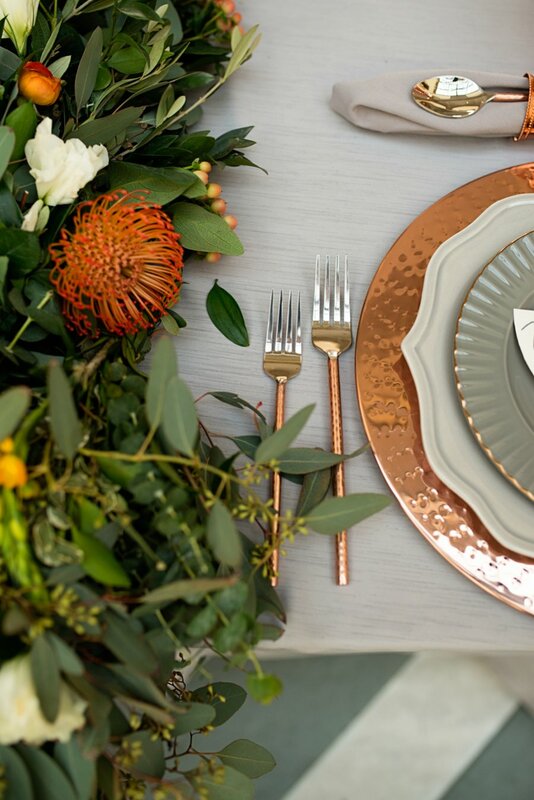 Copper and grey details combined with pops of tangerine gave way to a color palette that added a bit of the unexpected. 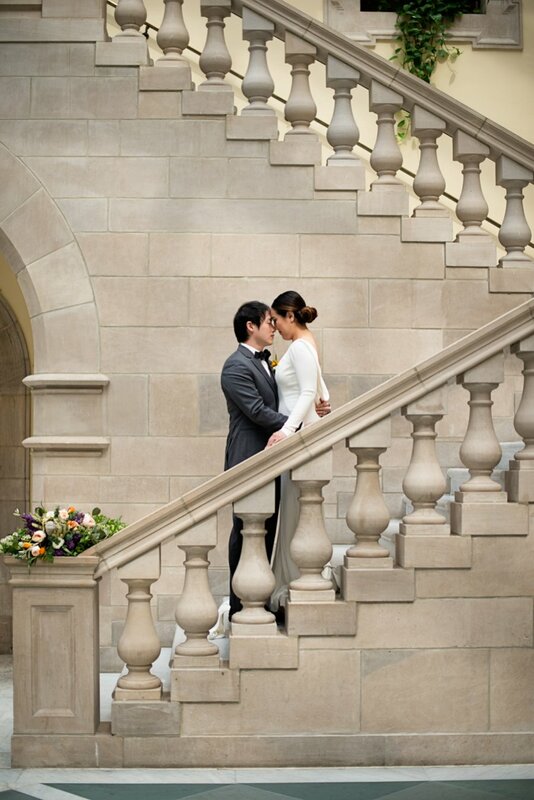 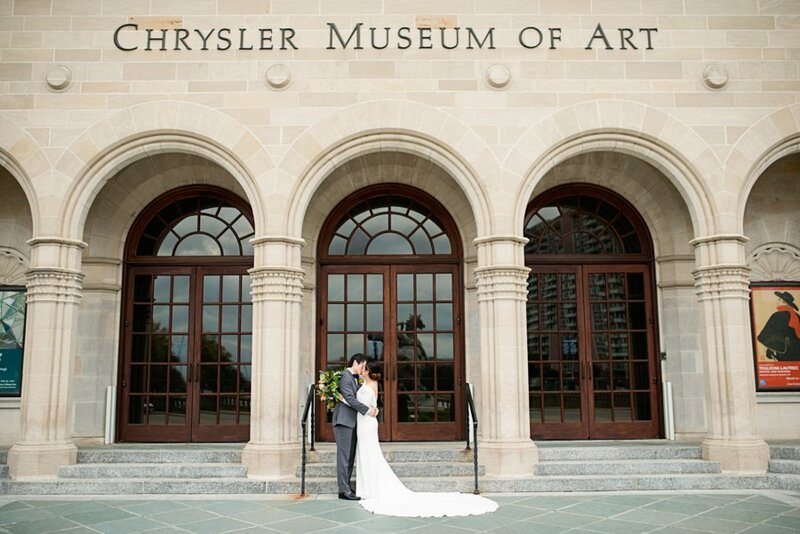 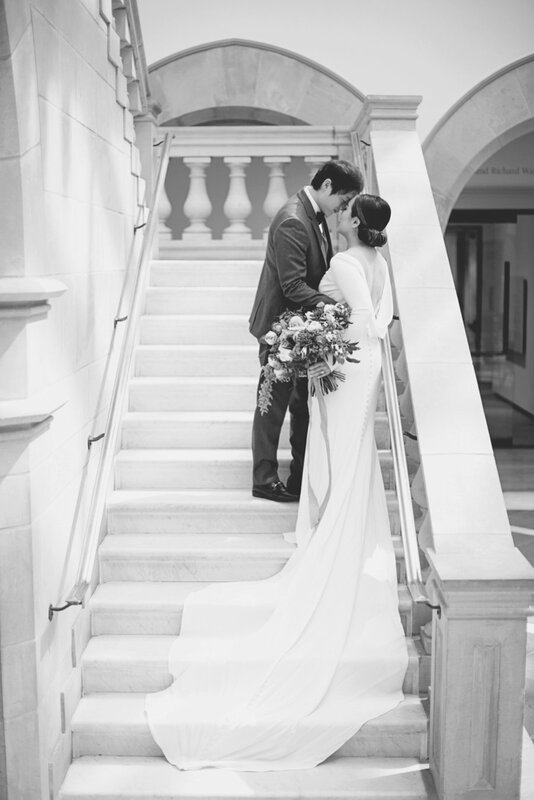 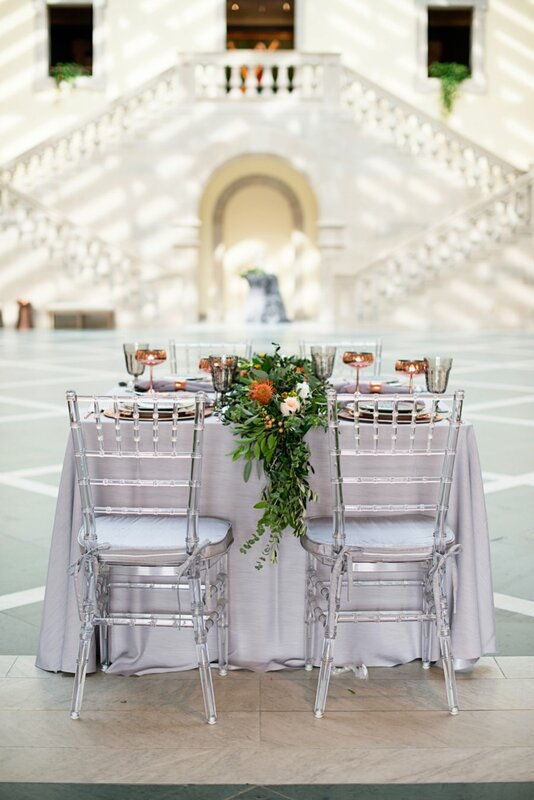 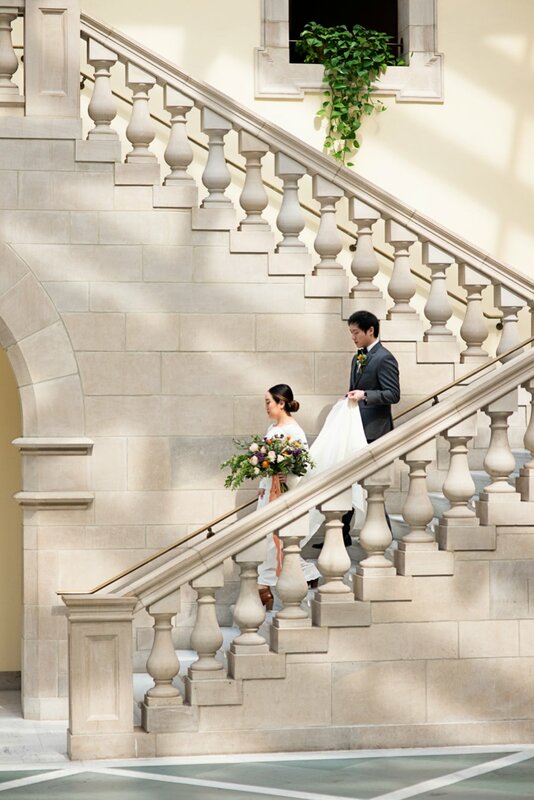 The architecture of The Chrysler Museum of Art created a beautiful setting for this elegant style. 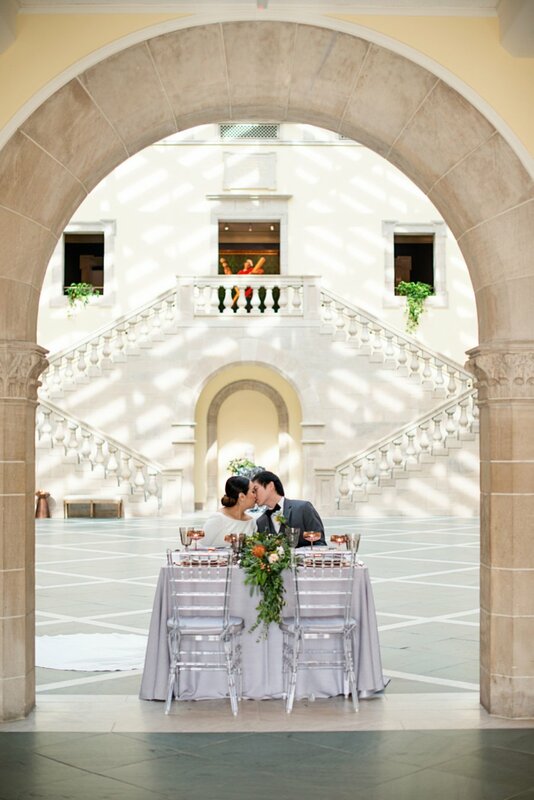 With large stone arches and staircases, timeless details, and bright light shining in, the space gave so much character to the entire look. 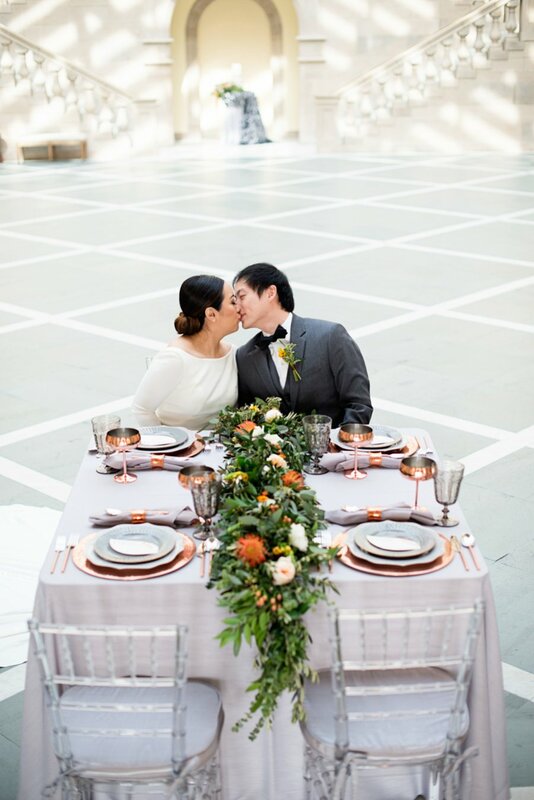 The modern features of the table design added a beautiful contrast to the classic style of the space. 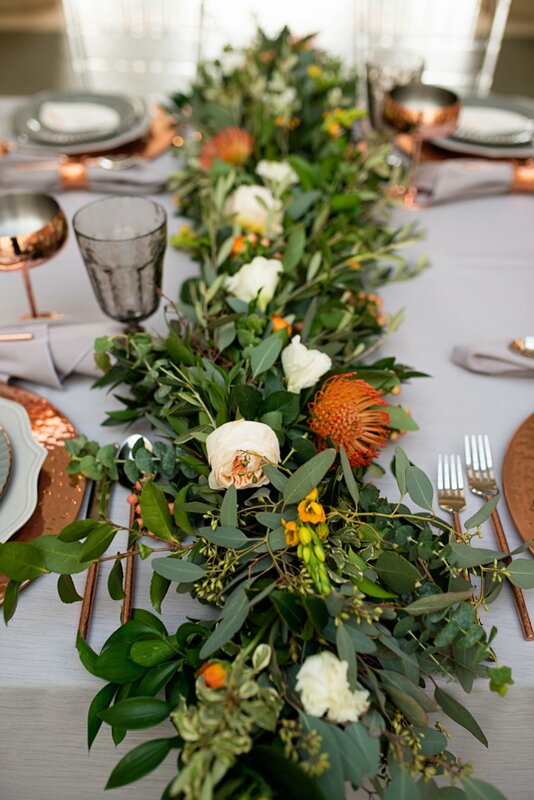 A square table adorned with a lush garland added a fun twist to the table. 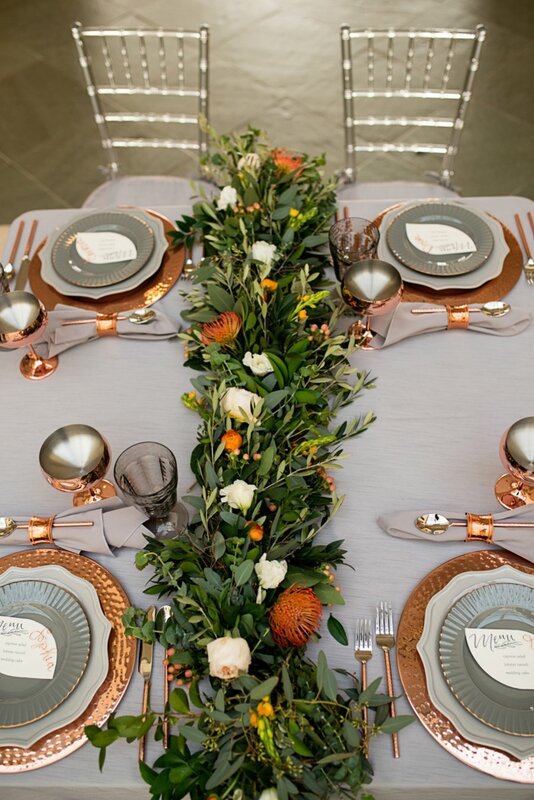 The floral designs created by Isha Foss Events added elegance and a perfect pop of color. 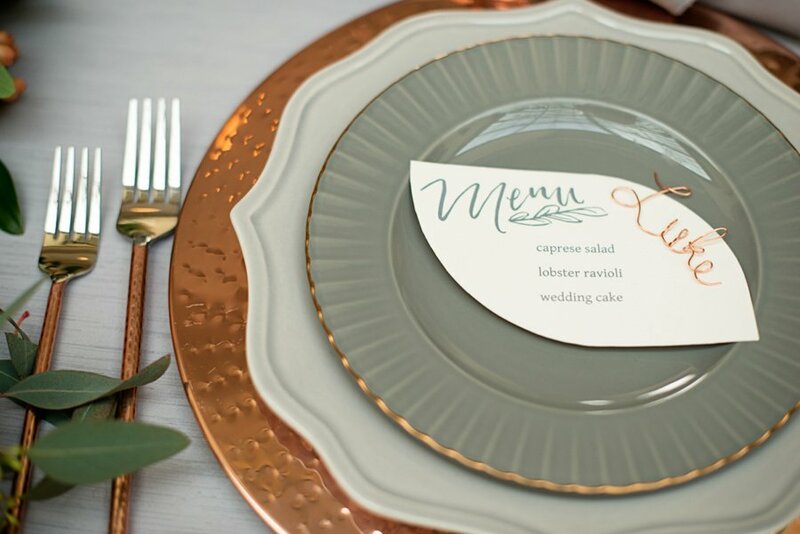 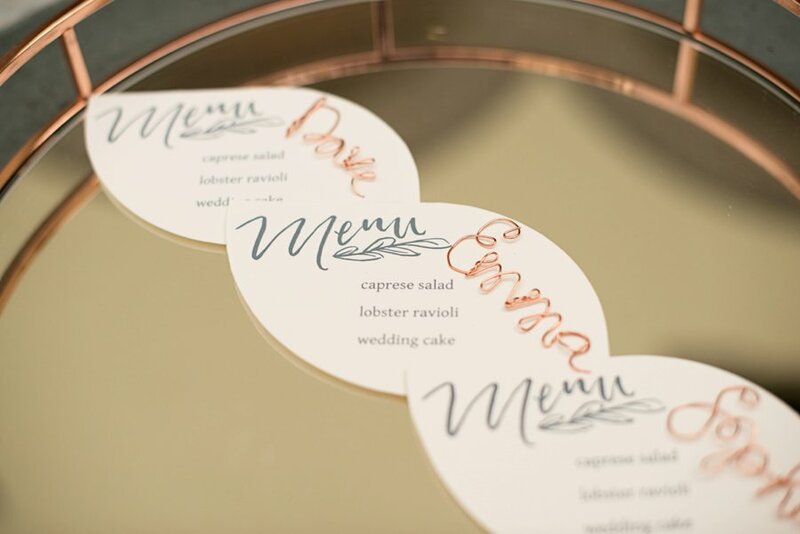 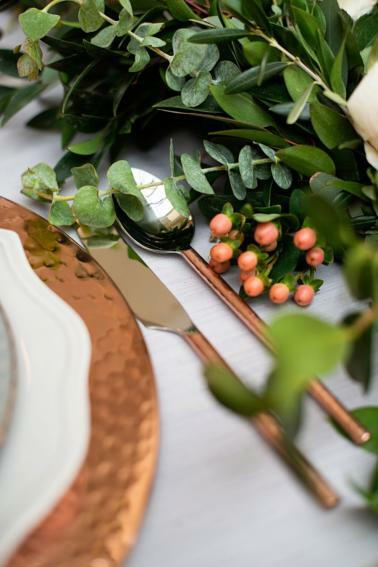 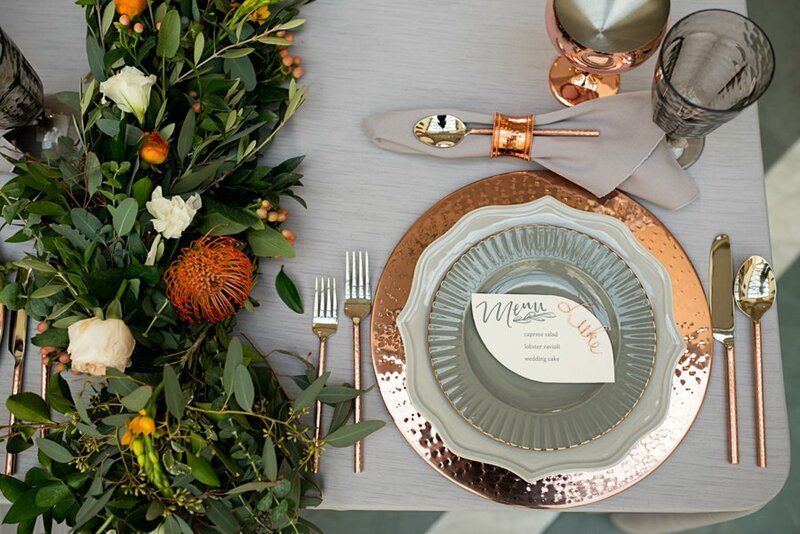 Mixing copper accents and touches of grey details offered a beautiful balance in the tabletop style, and we love the fun paper details from Ceindy Doodles, complete with wire calligraphy names to guide guests to their seats. 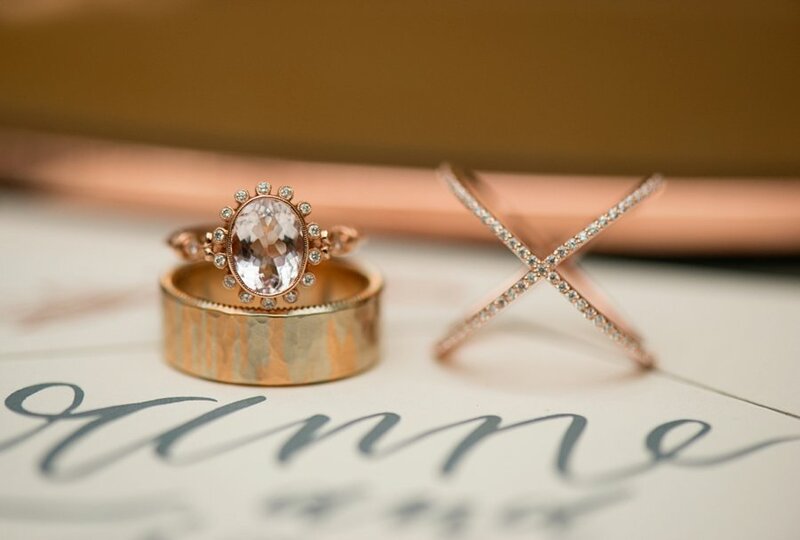 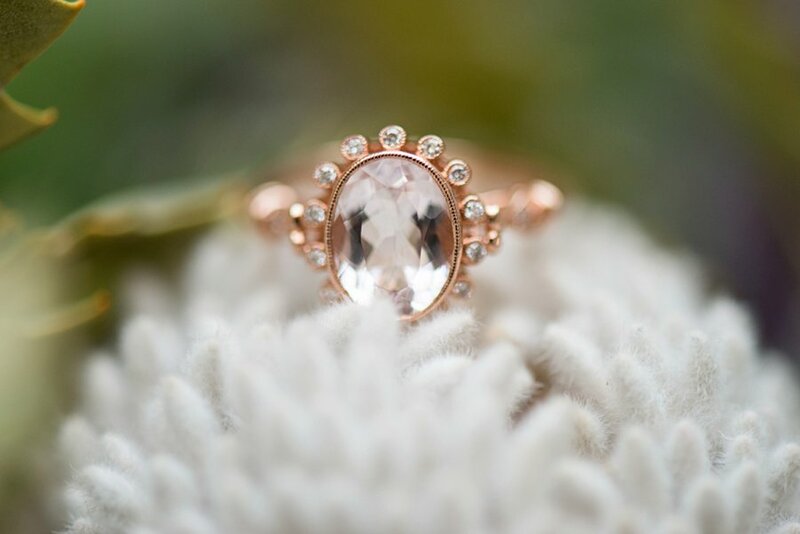 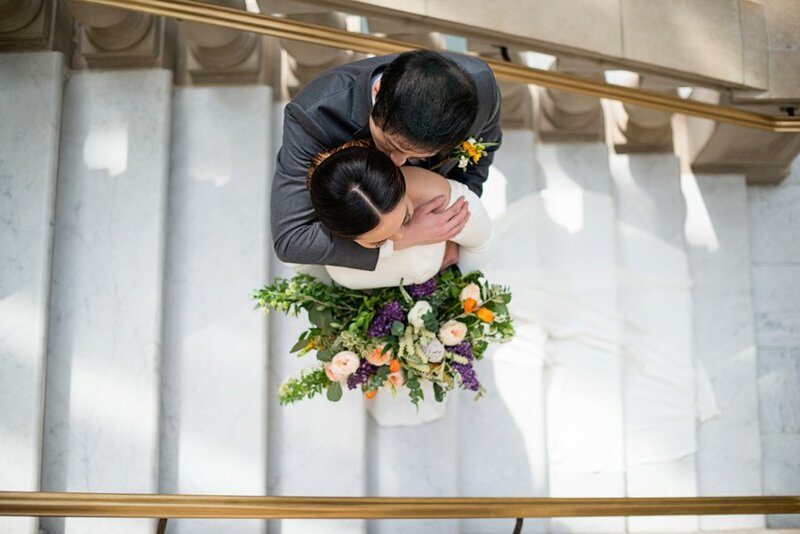 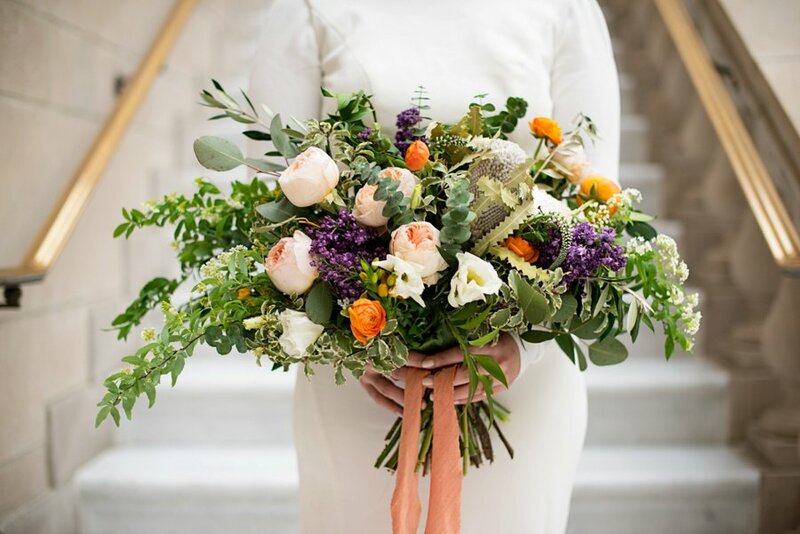 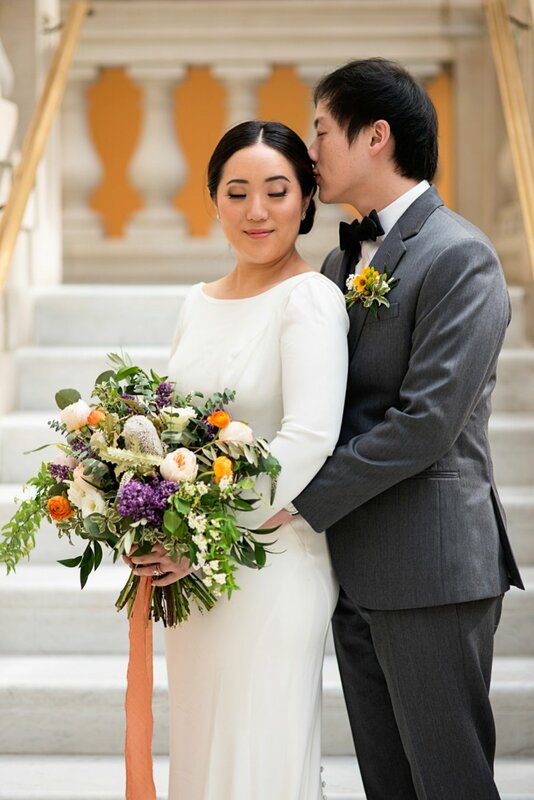 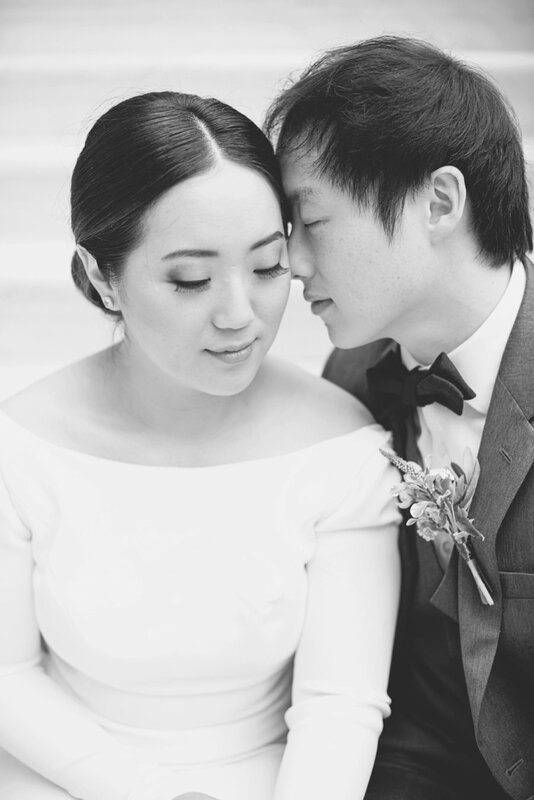 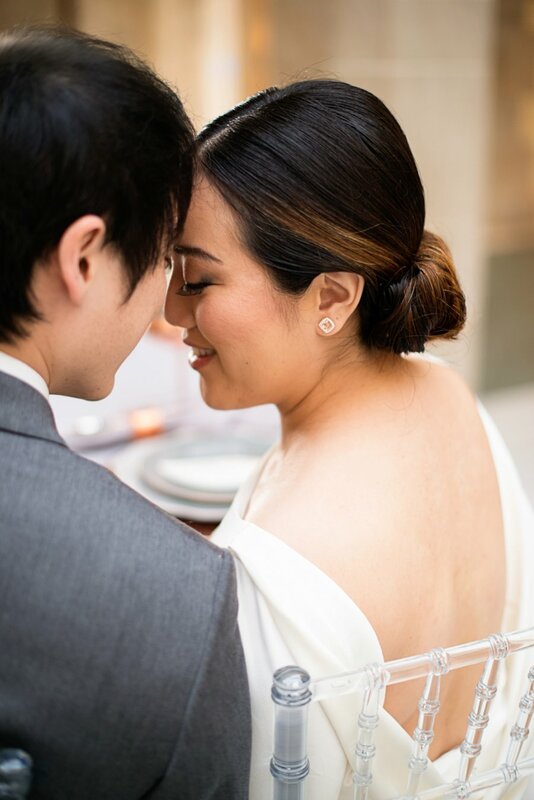 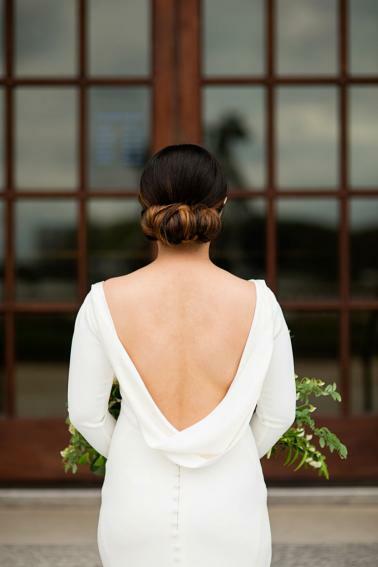 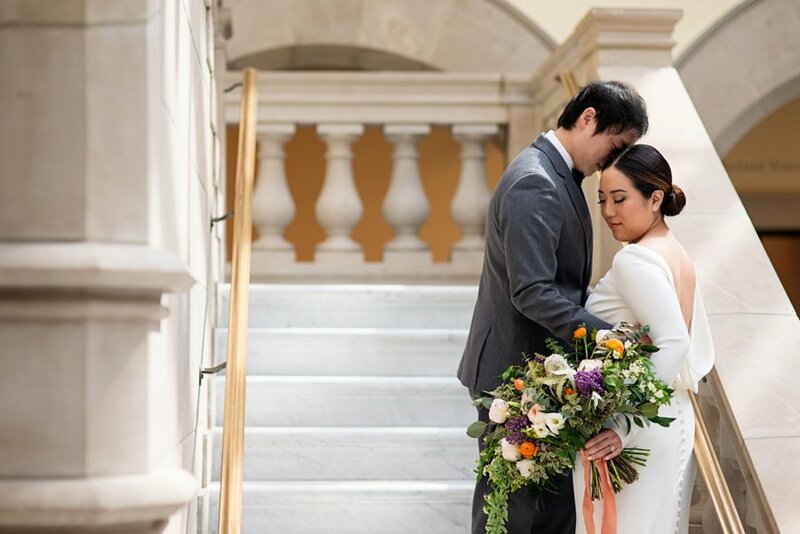 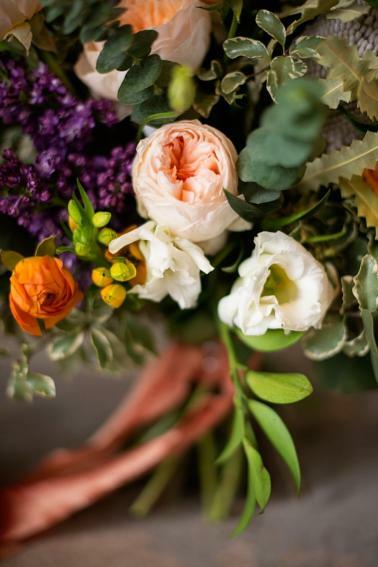 There are so many fun details that this team pulled together, and we hope you love how beautifully Maria Grace Photography captured this wedding inspiration! 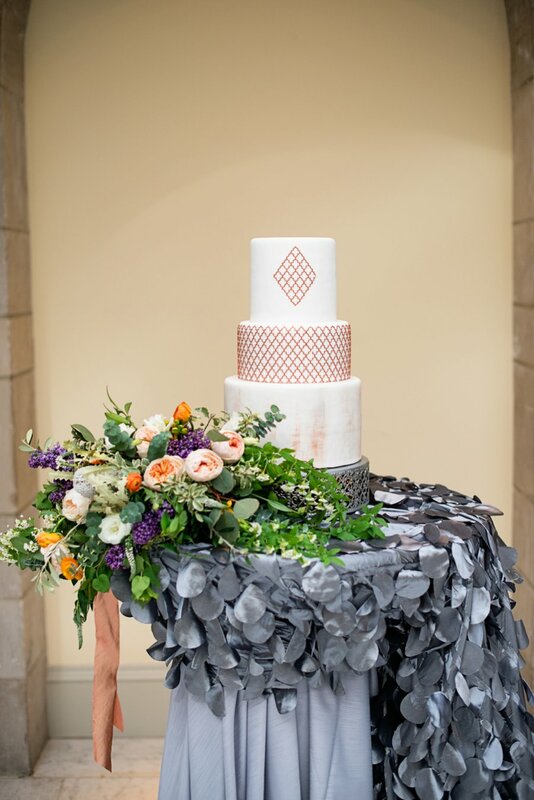 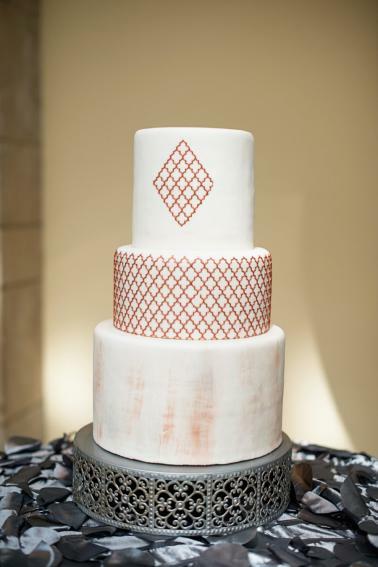 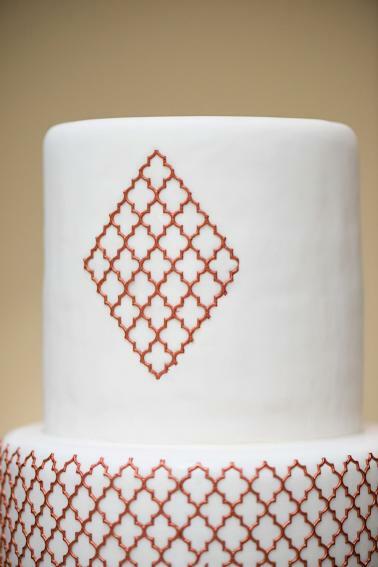 A final detail that made a major statement in our book was definitely the cake style and display. 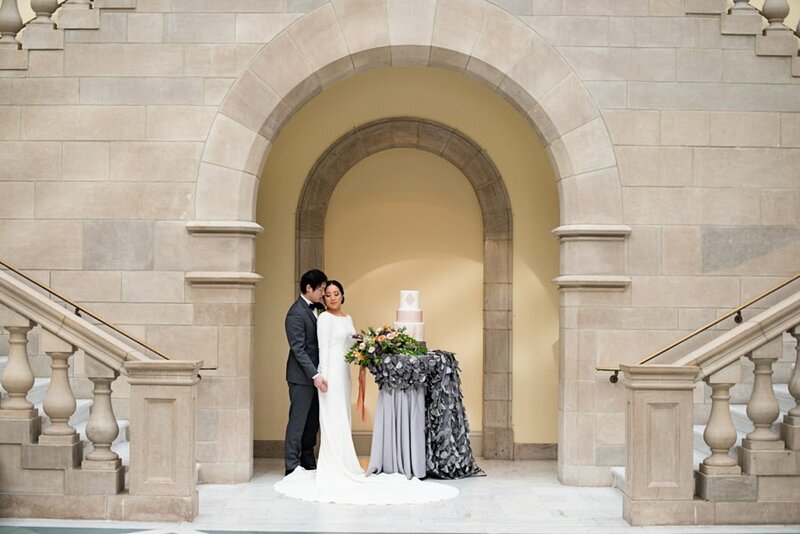 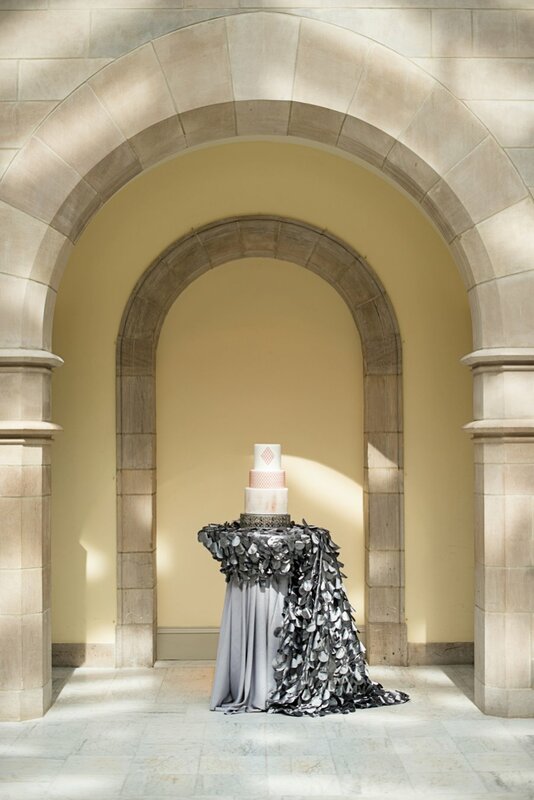 Tucking it under a stone arch with an asymmetrical swag of a silver petaled linen was the perfect way to make the cake a focal point of the wedding style. 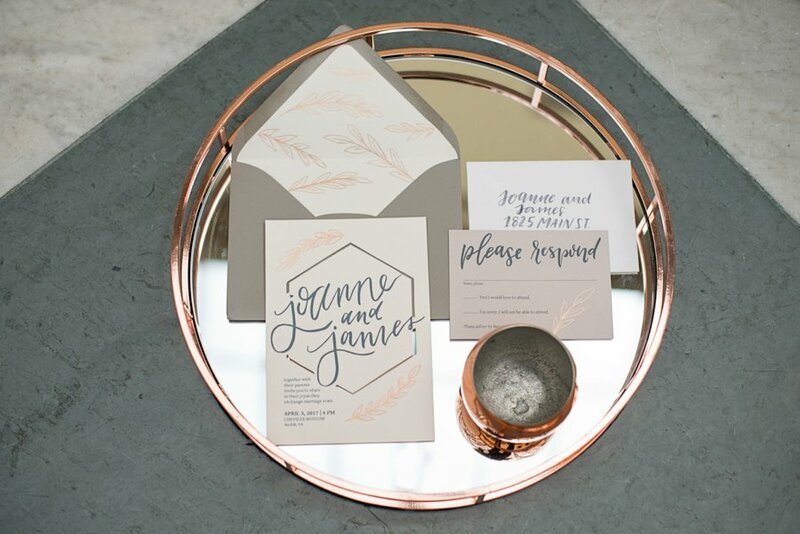 We love how each element offered such stunning inspiration, and ideas that can easily translate to so many different looks.